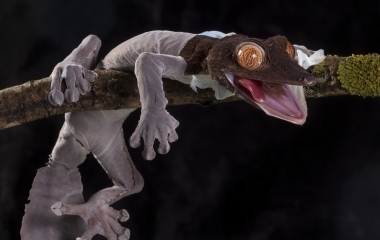 STRETCHING his little legs in the air, a smiley leaf-tailed gecko breaks free from his old, scaly skin. 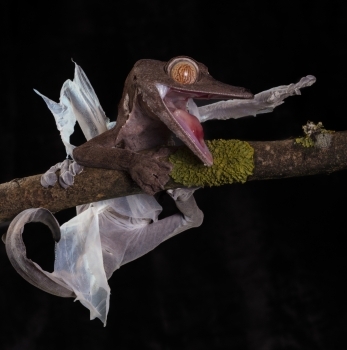 Using his mouth to peel away each paper-like layer of skin, the 30cm reptile appears to be grinning as he prepares for the hot weather. 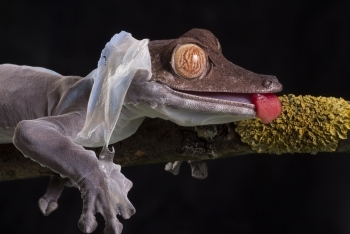 The bright-eyed gecko, named Cuillin, spent four hours shedding his skin and ate each piece as he freed himself one limb at a time. 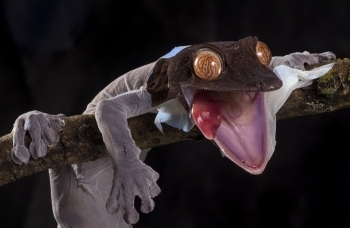 Watching her pet gecko in amazement, Angi Wallace, 47, of Newcastle upon Tyne photographed Cuillin as he broke free from his onesie-like layer.